I’ve got to admit, as a Baltimore native I’ve never been the biggest fan of LeBron James, but his most recent move has me excited. No, I’m not talking about him signing with the Los Angeles Lakers. I’m talking about the opening of his new Akron, Ohio school for at-risk youth. LeBron’s I Promise School will have longer school days and additional support designed to replicate some of the support services students the school caters to are often lacking at home. 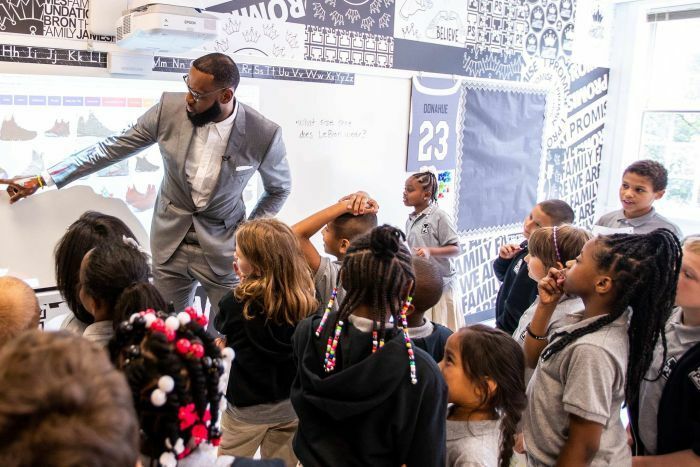 As the school’s Principal Brandi Davis said in a recent interview with NPR, LeBron’s new school aims to provide for the whole student — an element at the crux of our work at Concentric Educational Solutions. While LeBron could be using his platform to promote other causes in Akron, he’s chosen education. Too often education is an overlooked subject, but the publicity surrounding the opening of his school is bringing new light to the kind of work that is needed to serve students in underserved communities. Since founding Concentric Educational Solutions in 2010, my team and I have traveled across the country. We’ve worked in more than 100 schools and conducted more than 50,000 home visits. I’ve met with students on the cusp of fading out of the education system and the educators and family members working fiercely to keep them engaged. Still, school resources are tight, and the additional output needed to meet students where they are can be often overwhelming for educators. This is where we come in. CES not only provides the strategy for addressing students who are at-risk of not graduating. We work with the schools to improve the school-community connection. This work is so critical. And we are starting to see a difference. Each year, we are seeing dropout rates decline on a national level among students of color. According the National Center for Education Statistics, the dropout rate among black youth declined from 6.9 percent to 4.6 percent between 2000 and 2015. Dropout rates for Hispanic students dropped to 27.8 percent to 9.2 percent in the same timeframe. This is work that is making an impact, and I’m proud to now call LeBron James a teammate.